Yet Another Zombie Defense: Das sind die Systemanforderungen zum Spielen! Startseite » Unterhaltung » Spiele » Yet Another Zombie Defense: Das sind die Systemanforderungen zum Spielen! Läuft Yet Another Zombie Defense auf deinem Computer? Schaue dir jetzt die Anforderungen für deinen PC an um das Spiel von Awesome Games Studio zum laufen zu bekommen. Wir zeigen dir in einer einfachen Übersicht die Voraussetzungen um Yet Another Zombie Defense auf deinem Rechner installieren zu können. Darkness is coming. How long can YOU survive? Build your base by day, defend it by night. Play in online or local co-op. Stay alive as long as you can.. Yet Another Zombie Defense ist ein Action Spiel von Awesome Games Studio. Veröffentlicht wurde es am 28. März 2014 von Awesome Games Studio. 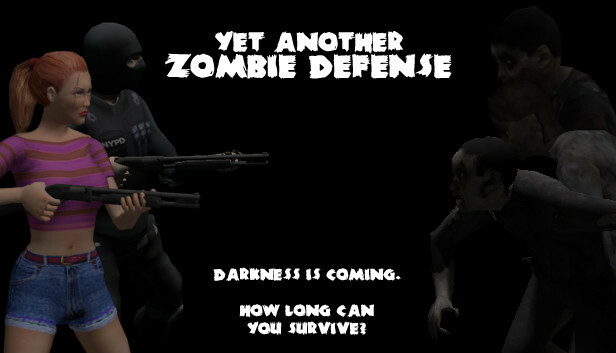 Yet Another Zombie Defense is all about defending yourself against hordes of undead attacking you every night. However, when you´re the only survivor struggling against waves of enemies who are getting stronger and stronger, your end is inevitable. The only important question is how long can YOU survive? The game is a top-down arcade zombie shooter with strategy elements. You´re able to choose from variety of weapons to mount them onto auto turrets and set up defensive barricades to stay alive as long as you can. It´s for gamers who like to put their skills to the test, find optimal strategy, and reach the highest spot on leaderboards! It also features online co-op mode, where you can blast zombies with up to three friends as well as player vs player deathmatch mode! HD Remastered version is available! The remastered HD version of the game is available and has better rendering and physics, new zombie characters and animation, as well as the addition of new enemies. There´s also features like localization including non-English chat, cloud saves, non-Xbox controller support with full controls remapping, overall better stability and performance, as well as many other minor improvements.